Chandigarh: Last week the Indian government had announced to postpone April 2 talks with Pakistan on Gurdwara Kartarpur Sahib to Dera Baba Nanak corridor. 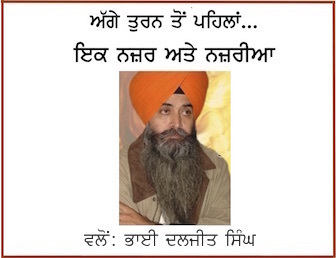 As per media reports the Pakistani authorities had included some Pakistani Sikh representatives into Pakistani representatives who were to hold talks with Indian representatives. Indian media reports say that the government of India summed Pakistan’s High Commissioner last week and objected against presence of Sikh representatives in the Pakistani delegation. According to the NDTV, New Delhi said the Katarpur facility “should not be used for anti-India propaganda” and Pakistan must clearly say how it will like to bridge the ‘substantive gaps’ between the two countries on pilgrims’ movement to the shrine. India said that it had objections against inclusion of Pakistani Sikh leaders namely Maninder Singh Tara and Gopal Singh Chawla. Pakistan’s Foreign Office (FO) in Islamabad regretted the Indian decision and termed the last-minute postponement ‘incomprehensible’. “Pakistan regrets the Indian decision to postpone the upcoming Kartarpur meeting, jointly agreed by both sides on 14 March 2019,” said FO Spokesperson Dr Faisal. “The meeting was to discuss and build consensus on outstanding issues,” he said, and lamented India’s move without seeking Pakistan’s views, especially keeping in view that the last technical meeting remained productive. 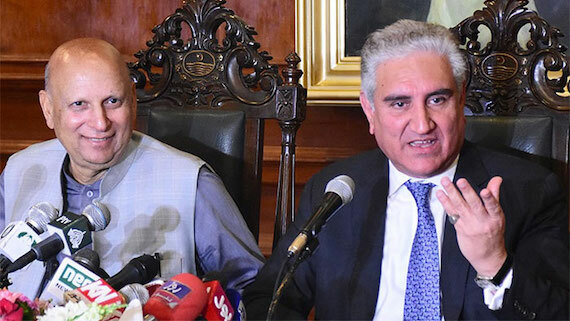 Foreign Minister Shah Mehmood Qureshi on Monday asked India not to delay the opening of the Kartarpur Corridor and settle all differences through bilateral dialogue. India, he said, should not shy away from the Kartarpur Corridor talks. Pakistan was more than willing to address all the Indian reservations, he added.